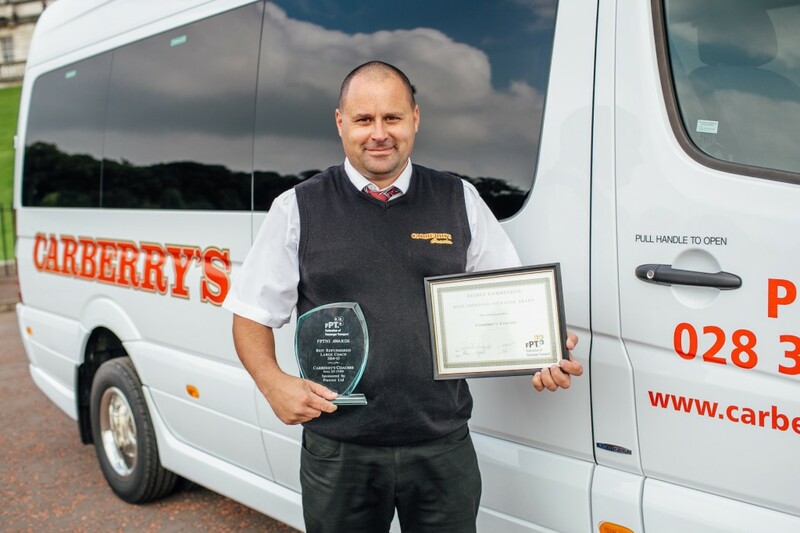 This year we were awarded for best refurbished large coach & highly commended most improved operator award by F.P.T.N.I. (Federation of Passenger Transport NI). Below is Randall showing off the awards!